Marleen de Putter is specialized in commercial law and in competition law. Marleen has had particularly broad experience in the aspects of competition law which concern commercial enterprises: advising and conducting legal proceedings concerning joint venture agreements, arrangements regarding exclusivity in distribution, franchises and agency agreements, non-competition clauses, abuse of dominant position and cartels. Marleen has supported diverse clients during so-called ‘dawn raids’ (cartel investigations of the Dutch competition authority (ACM)) and the subsequent procedures. She also supports clients when their plans for a merger, acquisition or joint venture have to be notified with the ACM. In addition, Marleen advises and litigates on contracts, damages, breakthrough of liability, general terms and conditions, breach of contract and disputes regarding distribution, franchises and agency contracts. Marleen’s clients include, amongst others, domestic and foreign distributors, manufacturers, construction companies, franchise organizations and interest groups. Furthermore, she regularly advises other law firms on competition law challenges in their files. Marleen has been a partner at Legaltree since 2014. From 2005 to 2014 she practiced in the corporate law and competition law practice groups at the Rotterdam law firm Kneppelhout & Korthals N.V.. Before that, Marleen completed traineeships at law firms in Brussels and Curaçao. Since 2011, Marleen has been giving courses to professionals on competition law. From 2006 to 2014, she represented Kneppelhout & Korthals N.V. in the European Antitrust Alliance. Marleen graduated in law at the Faculty of Law of Maastricht University, majoring in European Law and Language Studies (1998-2003). Marleen completed her final study year at the Università di Siena in Italy (2002-2003). 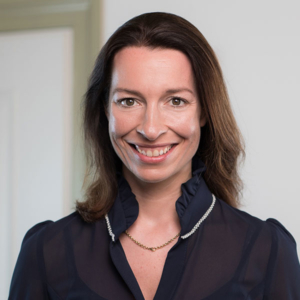 On completing her vocational training, Marleen successfully completed two specialist courses: the Grotius specialization training in National and International Contracting (2017) and the Course on Corporate Law of the Juridische Academie (Leergang Ondernemingsrecht Juridische Academie)(2011).